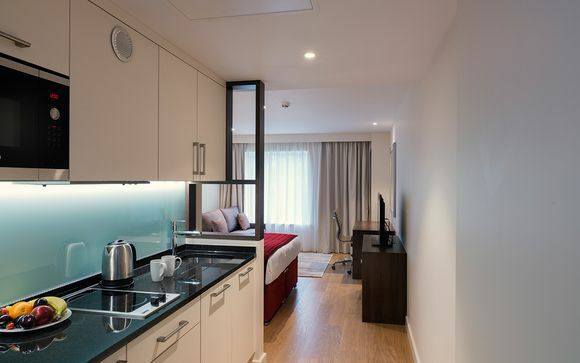 Marlin Waterloo offers stylish, serviced accommodation in an amazing central location. Facilities include an on-site bar and a gym. The London Eye and many iconic sights are within walking distance, and transport links are excellent too. Our members can enjoy a Club Room or a Suite Room, with a 20% discount at the bar! 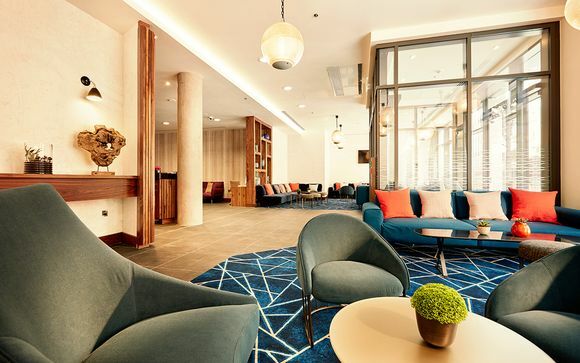 Marlin Waterloo is a brand new hotel just a stone’s throw from Lambeth North underground station, and a few minutes from Waterloo train and underground station, right in the heart of London. 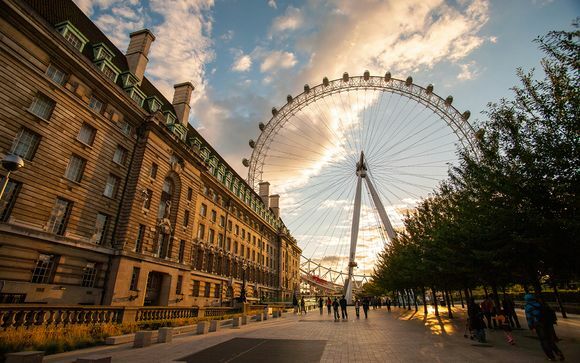 This central location means many iconic sights and attractions are within walking distance or a short tube ride, including The London Eye, culture and riverside pubs on the Southbank, the theatres and shops of the West End and the grandeur of Big Ben. 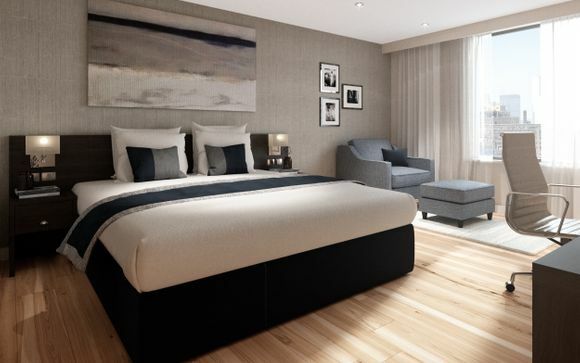 This new hotel (opened may 2017) offers modern rooms and suites in a fantastic city centre location. The ideal base for your stay in the capital, it offers hotel-style services include an on site bar, launderette and complimentary gym. Please be aware that Marlin Apartments may require a credit/debit card to pre-authorise a deposit of £50. Please note: Marlin Waterloo only accepts guests who are aged 18 years old and above. This offer is based on a Club Room or a Suite Room, depending on your occupancy numbers. Club Rooms -Located on the higher floors for great views, Club Rooms feature a twin or a king size bed, 40’ flat screen TV and a Nespresso coffee machine. Suite Room - As above, with the added advantage of a sofa bed for extra guests and a fully equipped kitchenette. Perfect for a group of friends. Just for you: 20% off drinks at the hotel bar. Suite guests can prepare home cooked meals with delicious ingredients in their fully fitted kitchen, which includes an oven, hob, microwave, toaster, coffee maker, dishwasher, cooking equipment and utensils. There are an abundance of restaurants to try in London, many within walking distance of Marlin Waterloo.